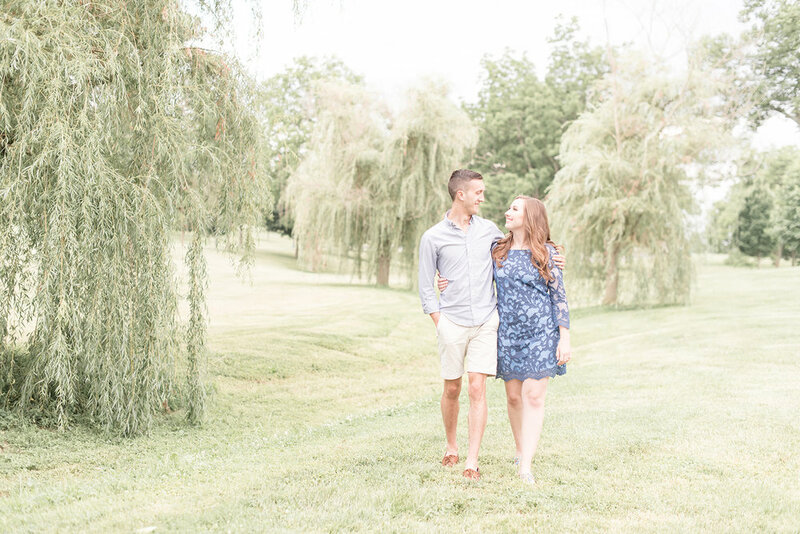 It’s probably not a huge surprise that I love proposal stories, especially when they are kind of funny, and the next couple of blogs are two of my favorites. Jessica and Sean actually went to rival high schools, both were in band but he was a little older. After he graduated he came back to play with her school’s band director and she was straight-up swooning over the talented, handsome, college guy. I met Jess through Tuesday’s Together, a monthly meetup through the Rising Tide Society. If you’re not a creative entrepreneur, you may not have heard of RTS, but essentially it promotes community over competition ("a rising tide lifts all boats"). This means it’s a fantastic group of people that constantly cheer you on and share knowledge from their own successes and struggles. So basically, it’s full of really awesome humans and Jess happens to one of them! When I asked them about what their early relationship was like, they said things got serious fast, they just kind of knew that “this was it”. Sean knew that he was going to propose for a while, but getting the chance to put the details into place was going to be a bit tricky. He went to get the ring on a day that Jessica happened to be sick, so part of taking a little bit longer to come home was that he said he was going to get her medicine. The impressive part here is Sean’s extreme efficiency when it comes to ring shopping. It sometimes takes me 20 minutes to decide what I want for breakfast. Do I want eggs or pancakes? Sweet or savory? How healthy do I want to make this meal? Sean was in and out of the jewelry store in less than that amount of time. He claims he walked in with a certain cut, color, and design in mind and they had 3 rings that met his criteria. After that it was a quick decision and he was out. Clearly, I’m very impressed by this. I’m over here still trying to decide if I want to add blueberries and a side of bacon to my pancakes. Sean wanted to propose on Christmas at her family’s house. He had told her to open THAT present last. The way it was supposed to work was that her mom was going to text Sean and he was going to sneak in and be there waiting for her when she read a note that said to turn around. However… just like with weddings, sometimes things don’t always go as planned and often it makes for really charming moments. Her mom was so excited about the unwrapping that she forgot to text Sean. So, Jess reads the note, it says to turn around. She does. And…. nothing. He was waiting in the car and of course immediately ran inside and finished the job. Which leads us to their gorgeous session and, what I feel, is definitive proof of why everyone should spring for hair and makeup for their session! Check out their photos below!